Why Emerging Markets Are Dominating Mobile Browsing — Internet growth in the Western world has stagnated at about 80% penetration, so most of the growth in coming years will be from emerging markets. React Native On The Universal Windows Platform — Microsoft and Facebook announced at F8 2016, that they’re adding Universal Windows Platform (UWP) support to React Native. HTML5 Is Quietly Changing The App Landscape — Developers no longer have to rely on complex, platform-specific tools to make mobile apps; HTML5 is quietly changing things. 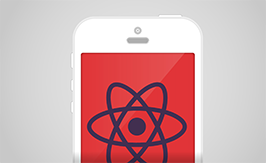 React Native Webinar: A New Way to Write Native Mobile Apps — From leveraging polyfills to debugging and using Flexbox and CSS, this webinar will show you how to apply the things you know about React to help you create native mobile apps! Register today to tune in live, and you'll receive a video for reference. Q1 Android WebView statistics — Check out the latest Android WebView statistics for first quarter of 2016 tracked by Scientia Mobile. Making Sense of Facebook's Moves to Speed Up the Mobile Internet — The company — like Google, Starry and others — hopes to tap high-frequency waves to speed up the mobile Internet in urban areas. How I Build For Proprietary Platforms and Sleep at Night — TJ VanToll says the web and native platforms are not in conflict and each offer unique benefits to developers and businesses. 22 Mobile Stats Everyone Should Know — A good list of important statistics regarding mobile usage and performance. angular2-universal-windows-app: An Universal Windows App (uwp) powered by Angular 2 — A seed project to help you get started using Angular 2 in your Universal Windows Platform apps quickly. Celebrate PhoneGap Day EU 2016 in Amsterdam — PhoneGap Day EU is around the corner, find out more about what you can expect from this year’s awesome schedule and lineup! Onsen: Boost your Cordova Development with Monaca Power Plugins — New Monaca Power Plugins available including HTML5 Resource Encryption, Secure Storage, In-App Updater and In-App Purchases to boost your app development. Say Hello to React CDK — A new React Component Development Kit including boilerplate project creation, build tools, React Storybook development environment and more. Writing A Cordova Plugin In Swift For iOS — iOS developers building Cordova plugins now have a choice of either Swift or Objective-C for writing their native code. Couchbase Mobile in a Cross Platform Telerik NativeScript App — How to get started using Couchbase Mobile to leverage NoSQL in your NativeScript apps. Work on a Better Stack! — On Hired, engineers typically get 5+ job offers in 1 week. Find that new opportunity you've been craving and get access to 3,500+ companies instantly.